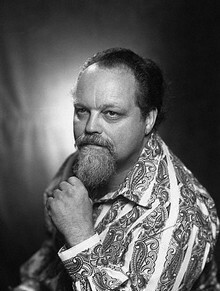 Bay Area Composer Lou Harrison, who passed away in 2003, wrote several works for instruments he built and designed himself, known as an American Gamelan, modeled on the Balinese gamelan ensemble. These instruments, ranging from highly complex chimes to very simplistic hanging garbage cans, have a unique sound unattainable by standard percussion ensembles. From May 23 and 25th, Harrison’s original instruments will be on display at the UC Berkeley Art Museum, accompanied by Eric Martin’s 1987 film, “Lou Harrison: Cherish, Conserve, Consider, Create.” On May 25th the instruments will be played in a rare performance of Harrison’s “La Koro Sutro” for American Gamelan and featuring Sacred and Profane, the UC Berkeley Chamber Chorus, and the Classical Choral Ensemble of USF. Also on the program is a newly discovered Lou Harrison work from 1939, “Dance for Lisa Karon” performed by Sarah Cahill. On June 5th, the chamber Choir Volti will host a screening of “Sure on this Shining Night,” a film about choral composer Morton Lauridsen by Michael Stillwater at the Brava Theater Center. Lauridsen’s music is beloved by choral singers and conductors around the world, and this is a rare opportunity to see the film in the Bay Area. A Slate of Premieres and a Glut of Beethoven.